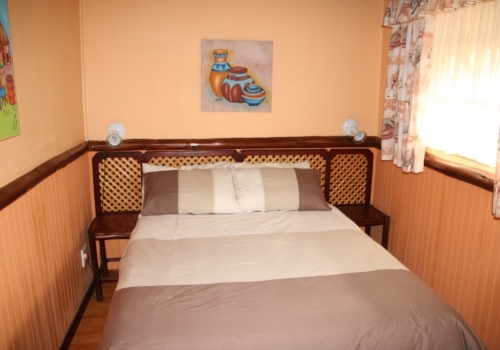 1 x double bed in bedroom. 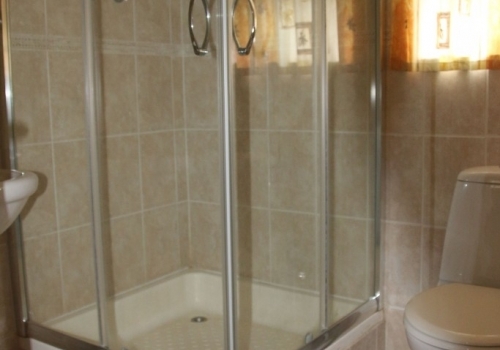 Bathroom with shower, toilet and facial basin- hot & cold running water. 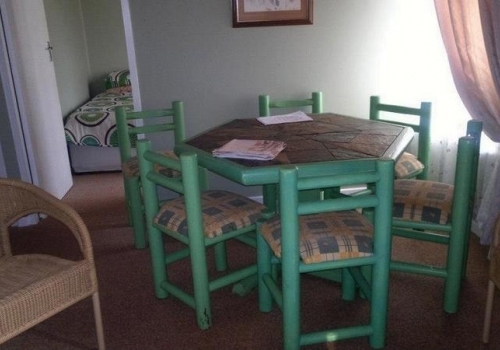 Lounge area, fully equipped kitchen open plan adjacent to lounge area with: Crockery, cutlery, small fridge, 4 plate gas hob, microwave, toaster, kettle, zink & breakfast nook. 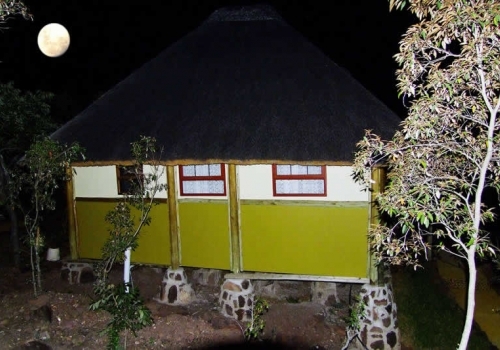 24hr electricity, 220 volts plug points, overhead fans and cell phone reception (considering Escom Load shedding). In tented section of deck: 2 x single sleeper bunk (stack) beds, or alternatively 1 x d/sleeper couch. 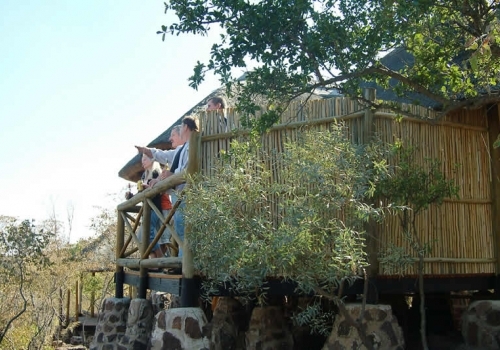 Open deck: Your own private viewing deck : table and 4 chairs, with a view of the bushveld below and the waterhole where the game come to drink and graze. 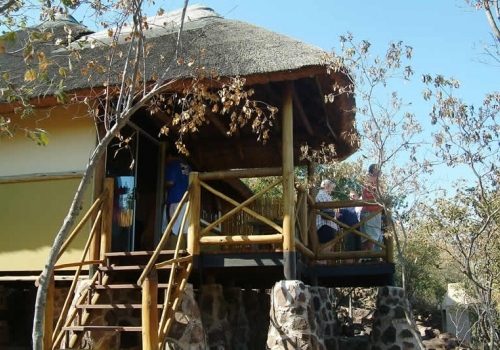 Experience magnificent sunsets over the surrounding Waterberg Mountains. 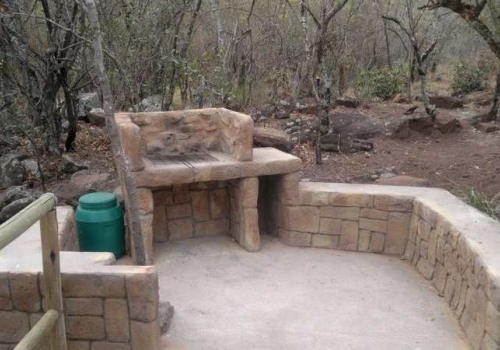 Each chalet has its own braai facilities. 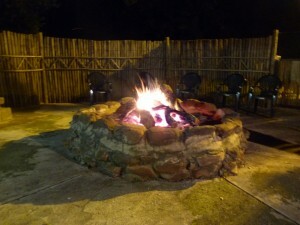 While your braai fire is crackling away you can appreciate our beautiful night skies in the bushveld. 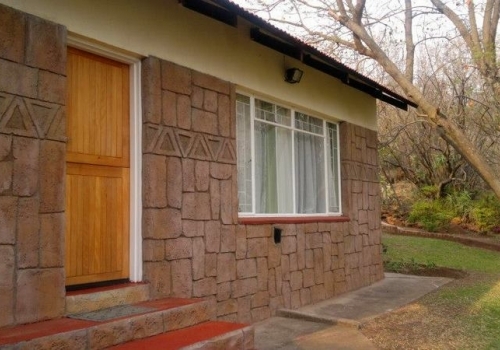 NO TV OR DSTV in chalets available. 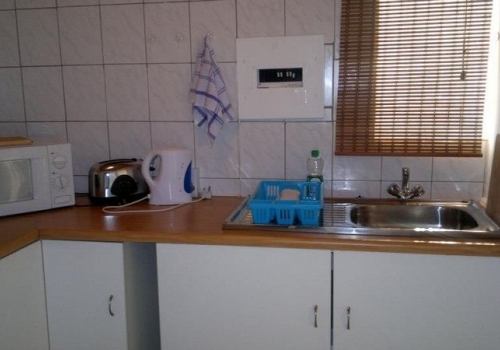 In all units a limited supply of toilet paper and dishwashing liquid is supplied. 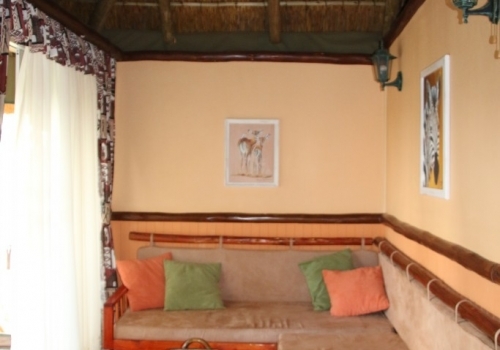 All chalets are situated within walking distance from car parking/reception, Lapa/Boma, swimming pool and pool bar. 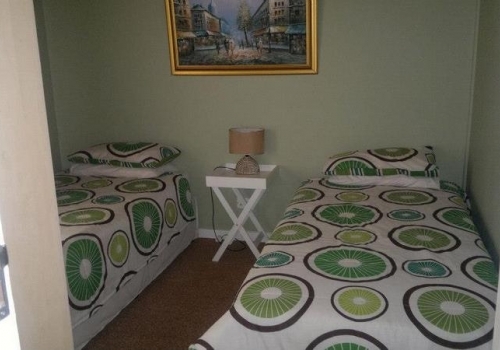 2 bedrooms each with 2 x single beds. 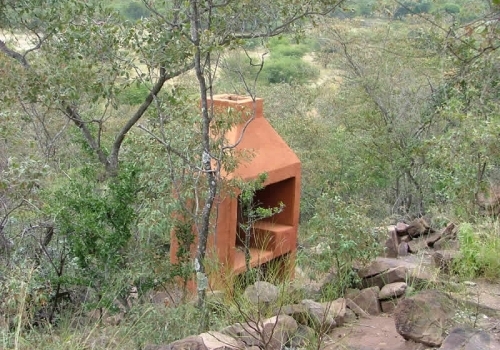 En-suite bathroom with shower, toilet and facial basin. 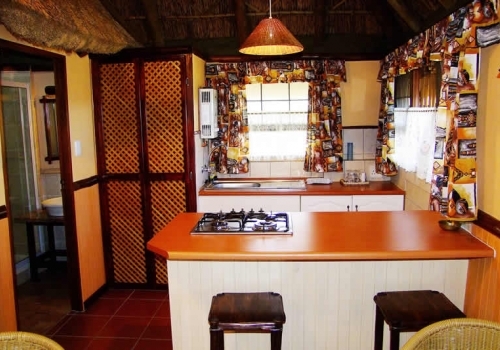 Hot & Cold running water, overhead fans, 24hr electricity 220 volts (considering Escom load shedding). 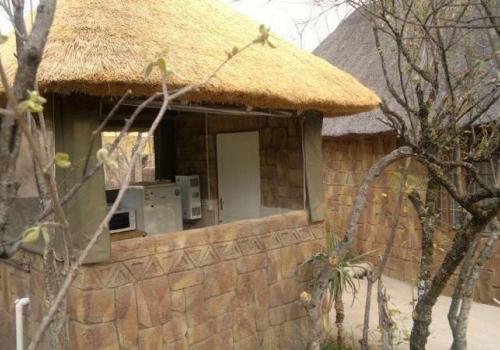 NO TV OR DSTV is available. 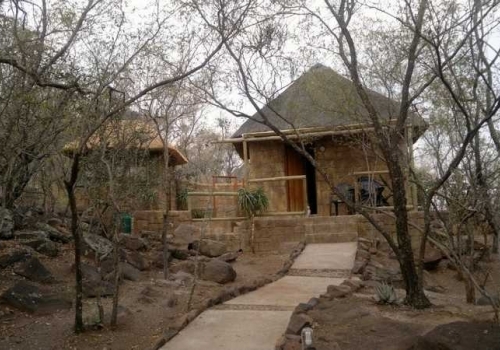 Fully equipped thatched roof unique outside kitchen for self catering, with a view into the bush (roll up sides), consisting of fridge/freezer, crockery & cutlery, 4-plate gas hob, microwave, kettle, toaster, own braai area and outside deck with table and 4 chairs, with a view of the bushveld below and the waterhole where the game come to drink and graze. 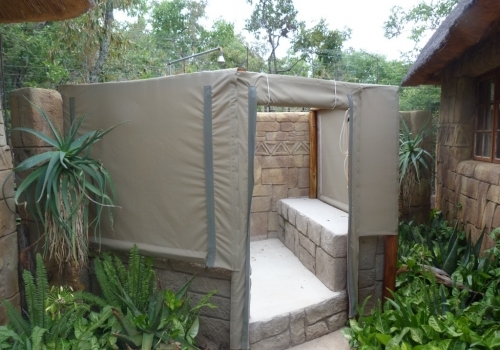 Open air hot/cold water shower. 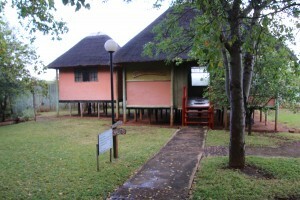 This unit is situated within walking distance from car parking/reception, Lapa/Boma, swimming pool and pool bar. 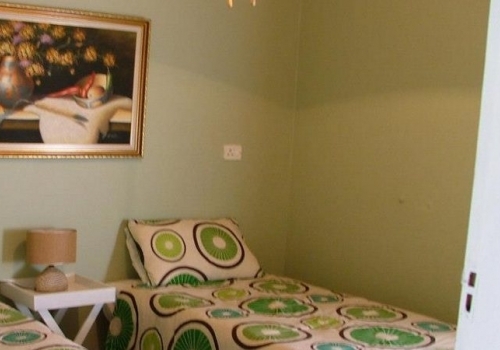 3 x bedrooms, one with double bed and two with 2 x single beds. 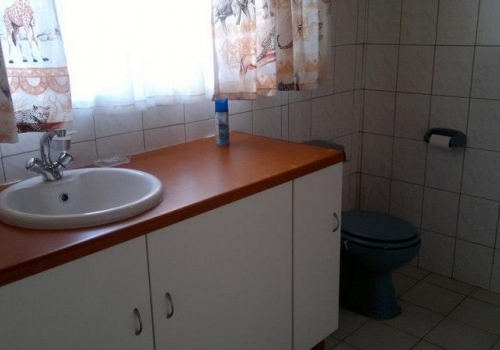 Lounge area, bathroom with shower, toilet and facial basin. 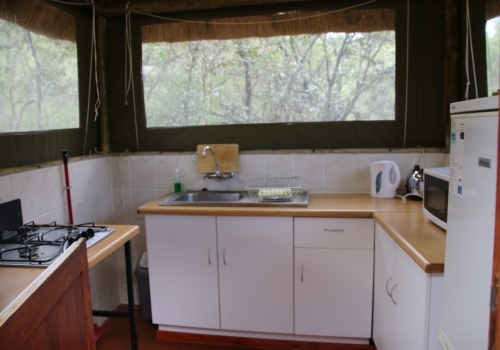 Fully equipped kitchen with crockery, cutlery, fridge, mini-oven with 2 plates, microwave, kettle and toaster. 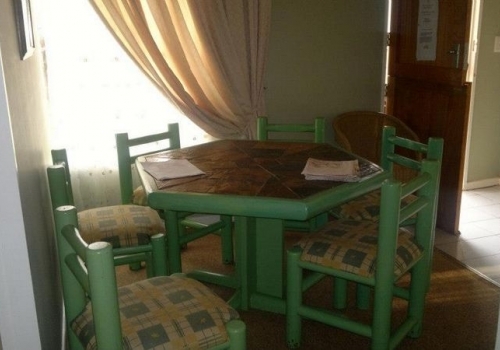 This unit is situated within walking distance from car parking/reception, swimming pool, lapa, Boma and pool bar. 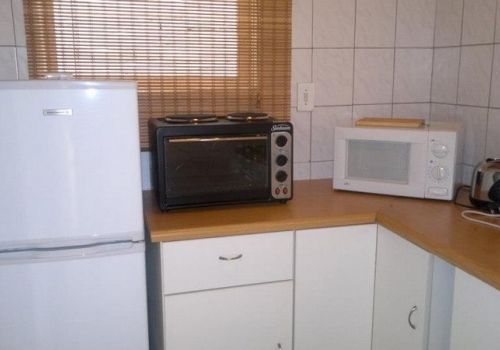 No TV or DSTV in this unit. 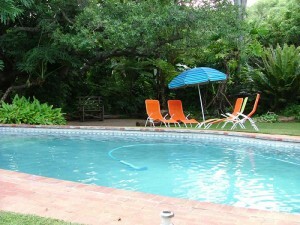 Cold water swimming pool, nestled among large wild fig trees and lush green lawns, adjacent to Lapa/Boma facilities and pool bar. Use of these facilities is entirely at your own risk. 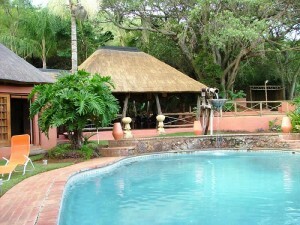 Guests with kids will have to accept full responsibility for their infants at the pool. Bear in mind: no life guards on duty. 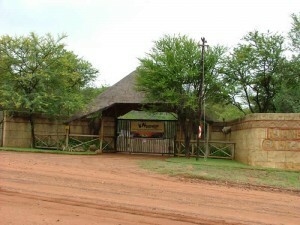 With a view over the waterhole where game come to drink and graze. 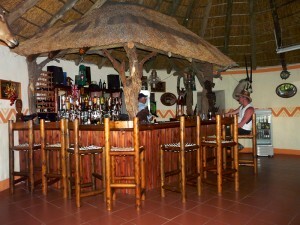 This is where you can enjoy a sundowner while watching the game at the waterhole. Fully automated for your convenience. 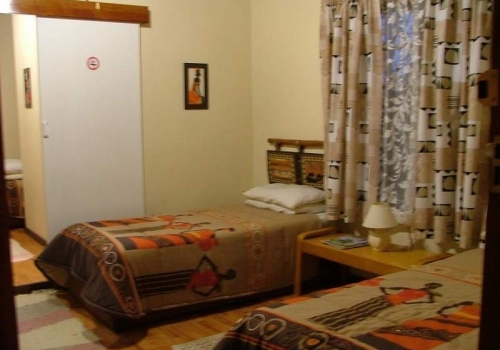 You would require an entry code which will be provided once you have secured your booking. Relax and unwind with friends at the pool bar.